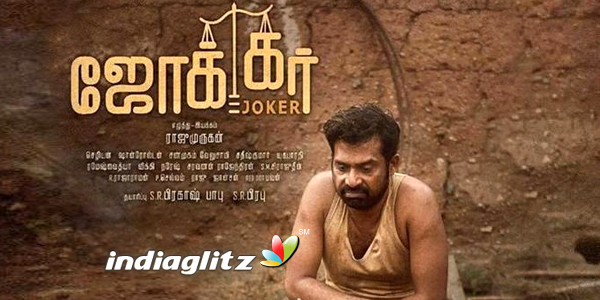 Director Raju Murugan in his debut movie ‘Cuckoo’ enthralled us by throwing some light on the dark lives of the blind and with ‘Joker’ he has scaled the peak of cinematic excellence by attempting to show light to the common man who stays blissfully in the darkness used and abused by those in the power circles. Mannar Mannan (Guru Somasundaram) who lives in a small village with no toilets and minimal facilities. He believes and behaves as if he is the President of India and a social activist Ponoonjal (Mu Ramaswamy) and Isai (Gayathri Krishna) act as his advisor and P.A. respectively. The trio go about raising social issues like going to court for a political bigwig’s sand truck hurting a goat to fighting for compensation from a school correspondent in whose premises a four year old girl falls into an open well. The local police and even the collectorate are so used to the President that most of the times they do his bidding. The court ironically awards a huge compensation for the goat, but in the case of the four year old rules that legally the owner of the premises is not responsible. The dejected President signs an order to bring military rule in the country so that he can take the law in his hands and attempts to stab the correspondent. When arrested and produced before the court the female judge finding that he is not in his right mind orders an investigation and also to give him medical attention. 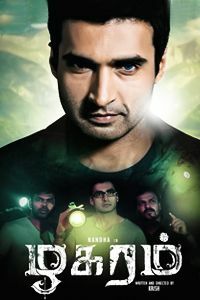 The flashback then reveals the poignant love story of Mannar Mannan and Malliga and how due to the negligence of the government brings great tragedy to the couple and results in Mannar Mannan losing his sanity opening up many questions for everyone in the society to answer. Guru Somasundaram who has already been acclaimed for his performances in ‘Aaranya Kaandam’ and ‘Jigarthanda’ plays the lead and what a brilliant show of histrionics he has displayed. If he has taken quirkiness to a new level as the suited President, he is equally captivating as the ordinary innocent worker who falls in love with a girl and hopefully pines for her even after she rejects him finally getting her. Mu Ramaswamy plays Ponoonjal the social activist with such natural elan that does justice to his reputation as a senior theater personality and professor of acting. Ramya Pandian brings to life the local girl who adamantly rejects the hero because his house has no toilet but later slowly succumbs to his charm. Gayathri Krishna as Isai the young girl who believes in the President and Poonjalai is perfect as their spokeswoman and social media manager. The actor who plays the communist minded security guard who inspires the hero warrants a special mention for his flawless acting. Sean Rolden is one of the backbones of ‘Joker’ with his background score enhancing every scene and so do his songs with great lyrics that are a part of the storytelling and don’t hamper it like in usual movies. Chezhiyan uses the handheld camera to great effect in the opening scenes where he cleverly takes us into the slum dwelling and the images are so real that one can even smell the stench coming from the open gutters and his handiwork is evident till the last gut wrenching image of Mallika. 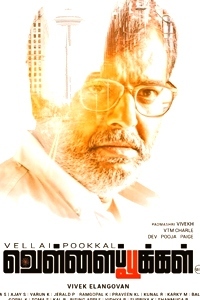 Shanmugham Veluswamy has ensured a smooth flow of the story and keeps the viewer engrossed most of the time. The art director should take a bow for the excellent detailing that he has done throughout the film. Raju Murugan joins the elite list of modern day directors who elevate Tamil cinema to international standards. His dialogues are sharp and hard hitting and he does not spare anyone from the Gods of various religions to both the bigwig politicians to the matinee idols and finally to the one who most needs a wake up call – the common who gets it in the climax. He wins big in telling a very touching love story, disguised as a political satire while also raising the relevant question of whether mercy killing should be made legal in this country where many underprivileged people suffer endlessly. Raju Murugan has raised a loud voice for the downtrodden and kudos to him for coming out with a truthful film. On the downside a few sequences the pacing lags and maybe the director could have put in more comedy scenes a la ‘Kaaka Muttai’(there is space for it). The President visit also lacks the authenticity with a sparse crowd but these are negligible as the storytelling is so engrossing that you hardly notice it. Verdict : A very relevant film that revolutionizes the thinking and makes one want to respect those real heroes who fight for the people sacrificing everything but look like Jokers to the public.